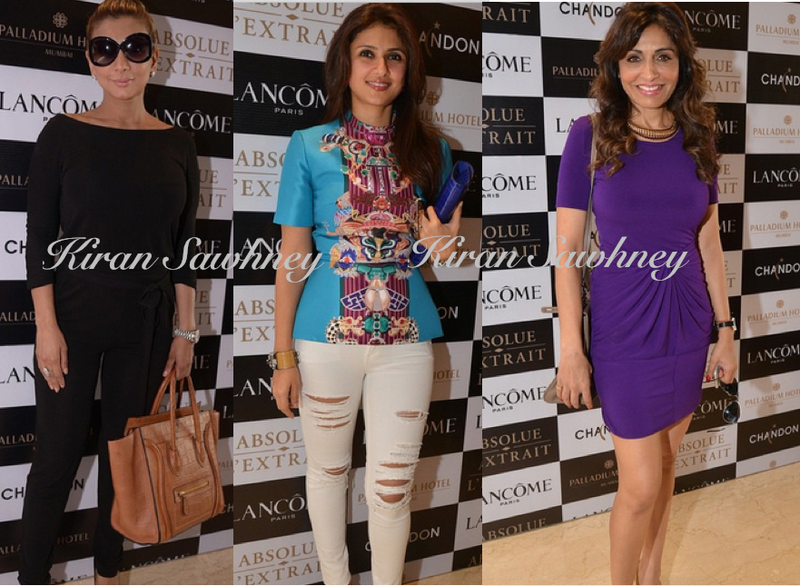 Lancôme, the leading French luxury beauty brand celebrating its 80th anniversary this year along with the Palladium Hotel hosted an intimate gathering last evening. Many celebrities attended this event. 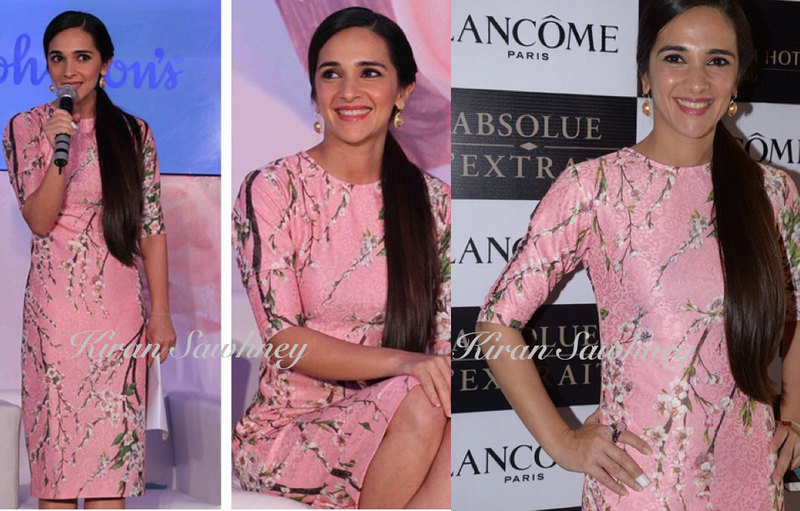 Below: Tara Sharma who is wearing Nishka Lulla dress teamed with Eesha Zaveri earrings, attended 2 events in the same outfit. 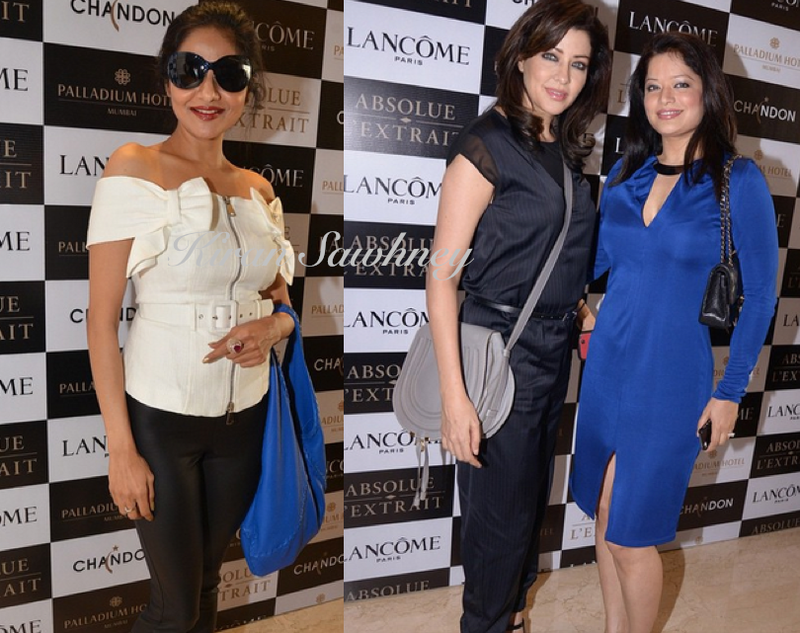 Lancome event and Johnson & Johson press conference.